Veolia Transportation was awarded a two-year extension to their contract to operate fixed-route bus service for Sonoma County Transit by the board of supervisors for Sonoma County. 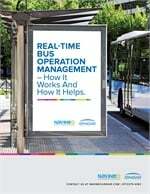 Veolia has operated bus service in Sonoma County for 20 years and in that time has seen service grow to record numbers. According to Ron Bushman, regional VP, Northwest, Veolia has a strong, productive working relationship with Sonoma County Transit. “We consider it an honor to work with and for them and have made remarkable progress together,” Bushman said. Veolia’s track record in Sonoma includes a 94% on-time performance, 327,000 miles traveled between preventable accidents and nearly 27,000 miles between breakdowns, according to Veolia. The Sonoma team’s customer service performance is also very strong, with a very low complaint rate. Veolia employs 95 drivers and staff and operates 49 vehicles at Sonoma County Transit.